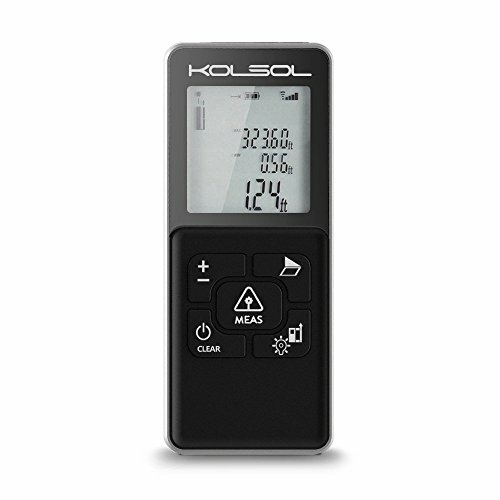 Pocket-sized laser distance meter K100, widely used in construction and industries, especially in large areas such as rooms, apartments, buildings, real estates, factories, warehouse etc. Measuring time:0.3 to 3 sec. Quality and fashionable design: With aluminum alloy frame, thus our laser range finder looks fashionable and concise, more it is convenient for the small size direct measuring with the radium carved scale mark on the side edge. With integrated cross lens, and by the auxiliary line projecting on the wall, the work of picture hanging, photo wall makes so easy, K100 Laser distance meter will help you find the exact spot you need. If you have any questions about this product by KOLSOL, contact us by completing and submitting the form below. If you are looking for a specif part number, please include it with your message.